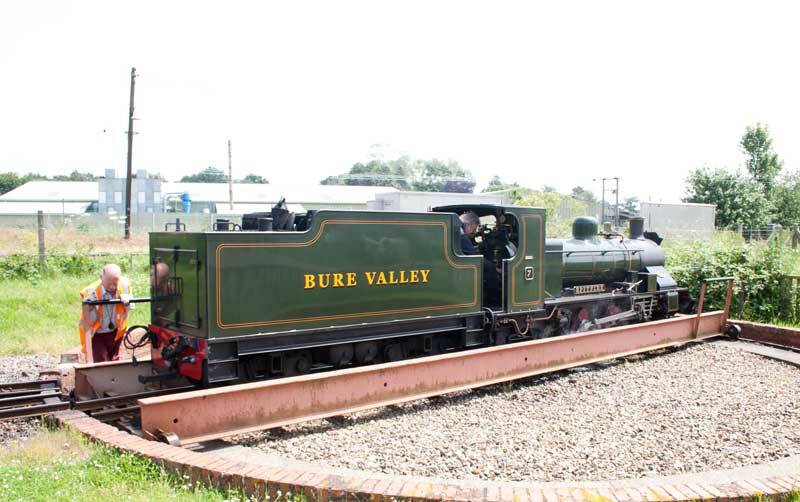 We paid a quick visit to the Bure Valley Railway at Wroxham, the BVR is a 9 mile long, 15" gauge line on a former BR branch line. The still open Norwich to Sheringham line can be seen in the background of some of these photos. When we got there 2-6-2 no. 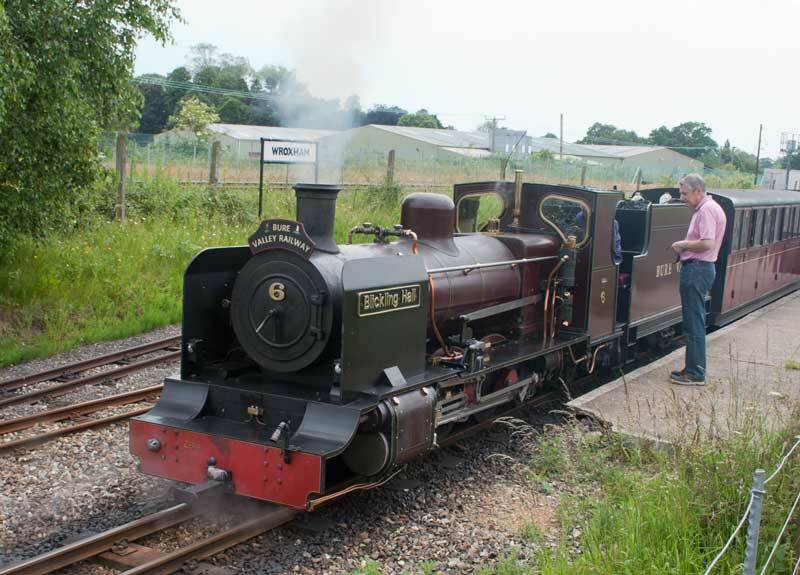 6 Blickling Hall was in the station. 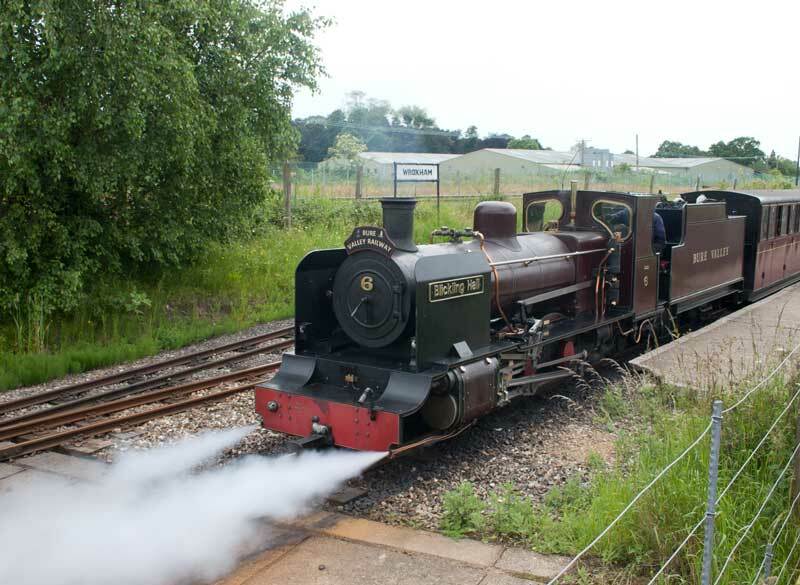 She was built in 1994 by Winson Engineering and is based on an Indian Railway's design. No. 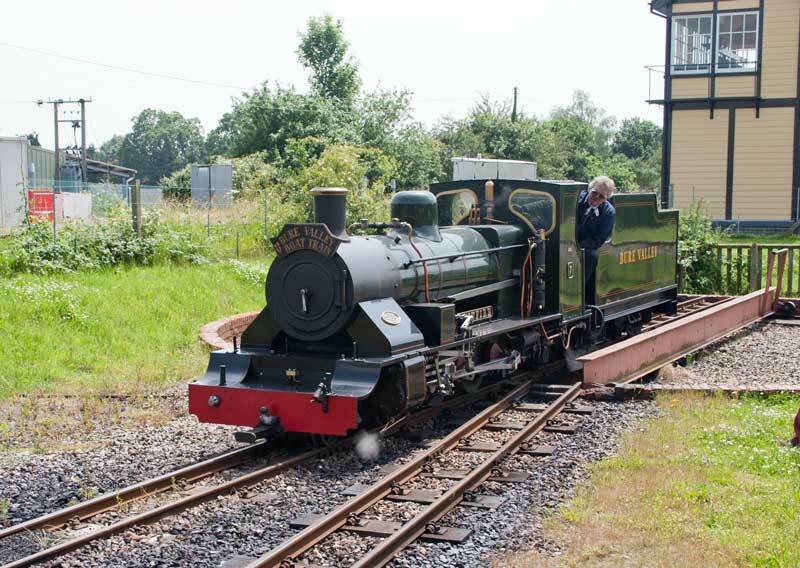 6 leaving Wroxham for Aylsham. 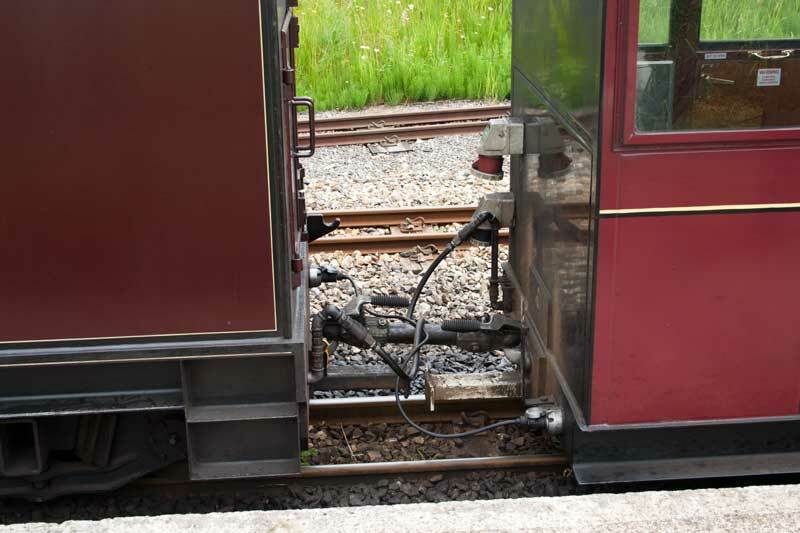 The line uses an unusual coupling system, basically it is based on car tow hitches. For this size of train it seems a sensible system with a minimum of slack between vehicles. Next train in was hauled by No. 7 Spitfire, like No. 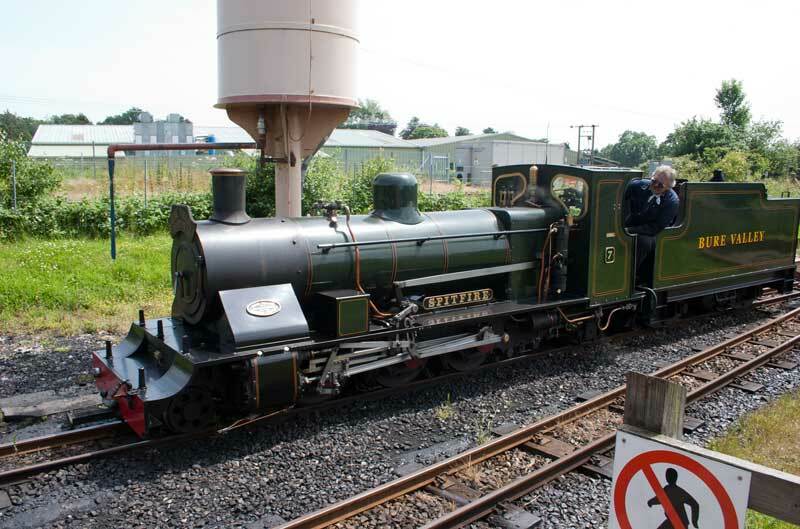 6 she was built in 1994 by Winson Engineering and is based on the same Indian Railway's design. No. 7 on the turntable - the driver did get out to help! No. 7 moving off the turntable with the old mainline signal box in the background. 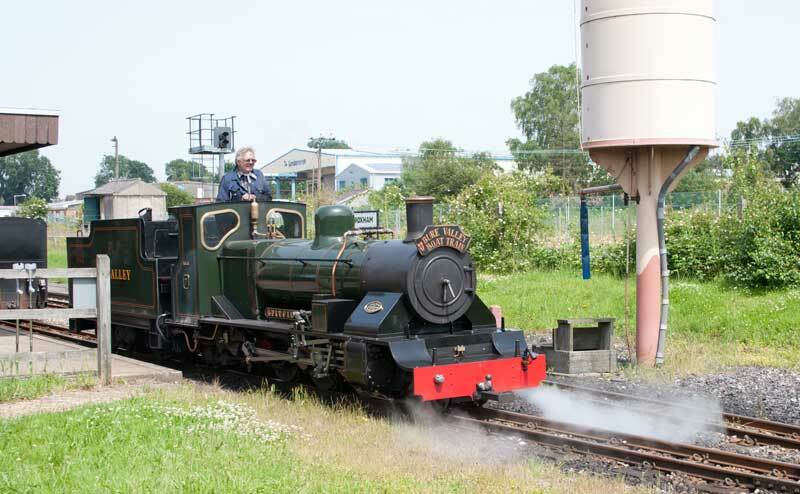 No.7 moving down the loop with the water tower in the background. 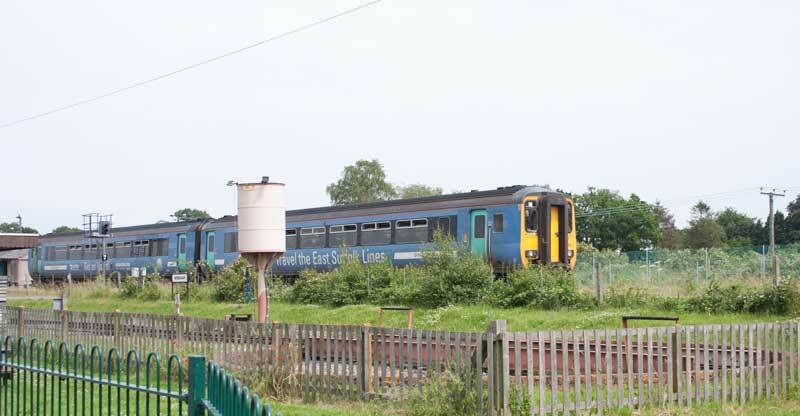 A last one for now, a Class 156 unit passes the BVR station on a Norwich to Sheringham working. Photos not otherwise credited are ©2012 S G J Huddy. Other photos are included with permission of the copyright holders.